MILAN and NEW YORK -- Italian carmaker Fiat has brought in a veteran of the 2009 U.S. auto sector bailout in a bid to break the deadlock in talks for it to buy out the minority investor in U.S. automaker Chrysler, a person familiar with the matter said Friday. Fiat, which owns 58.5 percent of Chrysler, has appointed Lazard Vice Chairman Ron Bloom to help with the negotiations with VEBA, a health care trust fund affiliated with the United Auto Workers union that owns the remaining 41.5 percent. 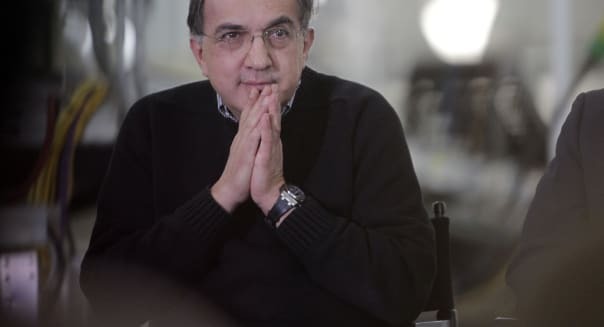 Fiat chief executive Sergio Marchionne, who runs Fiat and Chrysler as one company, wants to buy VEBA's stake in the smallest of the Detroit Three automakers to create the world's seventh-largest car manufacturer, and secure access to cash and technology it needs to compete against rivals. That means VEBA is pushing ahead with its legally stipulated right to ask Chrysler to sell part of its stake in an initial public offering, which could delay Fiat's merger plans. JPMorgan (JPM) has been tapped to lead the Chrysler IPO if the Fiat buyout doesn't happen, said another person familiar with the situation on Friday. Fiat and Chrysler declined to comment.